For seafood lovers like me looking for a seafood lunch in a hawker centre, it is not easy. Next time you are in a hawker centre, try walking around looking for seafood for lunch and you’ll know what I mean. You can get some stir fried fish(chap chai peng stall), fish soup, fish N chips or some strange Japanese fish meal randomly but if you wish for more like good sotongs, prawns or shellfish to facilitate your cravings, it may just leave you wondering what’s so difficult about keeping up with the seafood genre in the hawker fare. The truth is as much as I love eating seafood, I don’t quite understand the business of fish as I find the smell of fish quite nonsense, especially those fish meat(or whole) that are not fresh being grilled or steamed with the ‘unfreshness’ masked by the whatever flavours of the condiments. I know for fish lovers, what I’m saying here makes no sense but I suppose I’m speaking for those who find fishy smell quite gibberish in a meal. Though I’m not a fan of fish meat, I still visit a fish soup stall quite often. The secret? Fish roe. 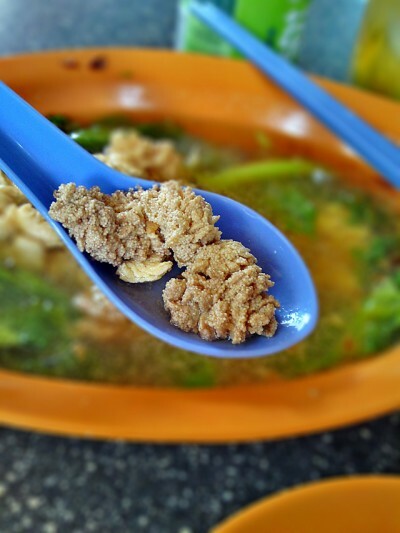 Lee Kwang Kee Seafood is a popular fish soup stall with many branches around the island in places like Chong Pang, Bedok, Maxwell and Clementi. However, you don’t get to see the name Lee Kwang Kee Seafood on the signboard. 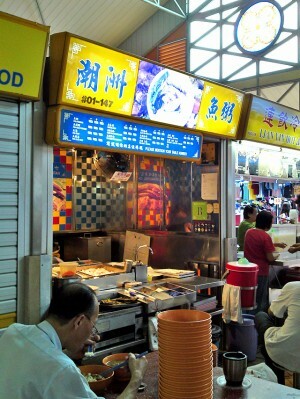 Instead you see a Teo Chew Fish Porridge and the distinct feature is the hanging of whole fish bone of the mackeral fish at the front of the stall, does it ring a bell? Lee Kwang Kee Seafood is popular for items like sliced fish soup or fish head soup but for me it is the pure fish roe soup that can hit my umami hard. Fish roe is hardly something that can make the meal of your life but yet it is something that is truly rare, so rare that sellers may have to build up a good rapport with their fishmongers to get theirs hands on it. For the kind of rarity it has, it is quite surprising for me to find that it is something that has lovers and loathers in equal numbers. I guess fish roe is not for any faint-hearted for there is a distinct dotty texture which many of my friends have found to be a little adventurous to bite and chew, but I just love it. 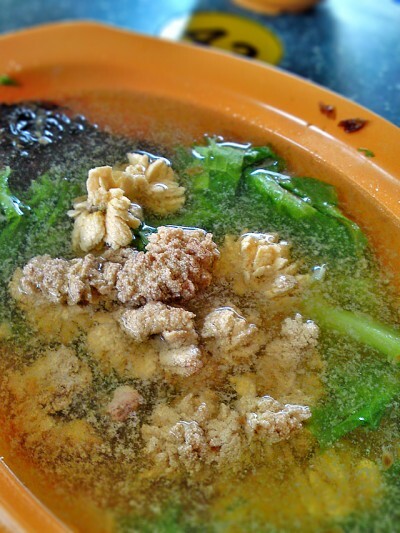 For $4 at Lee Kwang Kee Seafood, you get clusters of roes(about 10 – 15 small pieces) cooked in tik poh(dried sole fish) flavoured soup. The laver and lettuce just add up to quite an exceptional bowl of soup. This is something not easy to find in hawker centre and Lee Kwang Kee Seafood is the only place I know that can provide me with a cholesterol rush every time I turned up. So if you’ve been bored with all the random Singapore food like Char Kway Teow, Mee Pok or Chap Chai Peng, this may be the next best thing your umami needs. 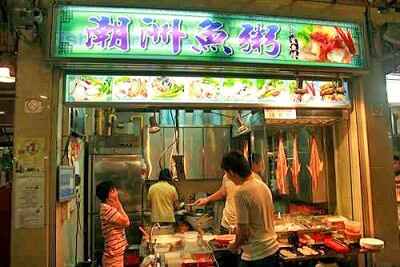 There are many stalls of Lee Kwang Kee Seafood around the island, just look for that huge mackeral fish bone hanged at the front of the stall and you are bound to be in for a rare shiok time. 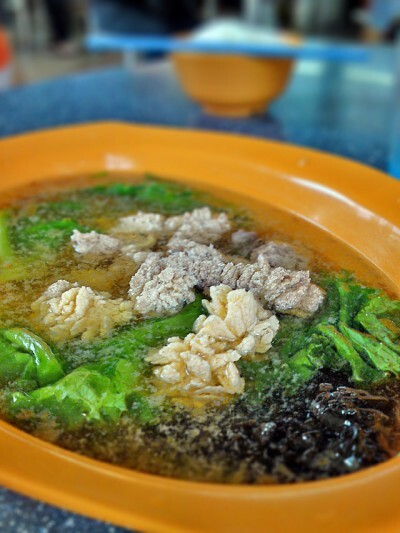 Recommendation: Fish roe soup though they are famous for their sliced fish/fish head soup. Conclusion: One of those unique food you won’t find in many hawker centres. Fish roes are something not every fish soup seller can procure so this soup is extremely rare and it just happen to keep me shiok too. Likes: Soup very shiok with all that tik poh flavour. Fish roe provides that much needed protein boost. Love this chain too though I have made visits on a few occassion been denied of my fish roe. I usually get a combi of what they call the “san he yi”, ie. 3-in-1, which has fish slices, fish roe and fish sperm (aka yu bao). Awesome. But to get the latter, its preety rare. Also in order to ensure I get enough of the roe, I usually order a $7 bowl. And its truly fulfilling.